Clinton faces questioning over her handling of classified information in emails, as well as funds received by the Clinton Foundation while she was in high office, James Conway former FBI agent and Managing Director of Global Intel Strategies told RT. 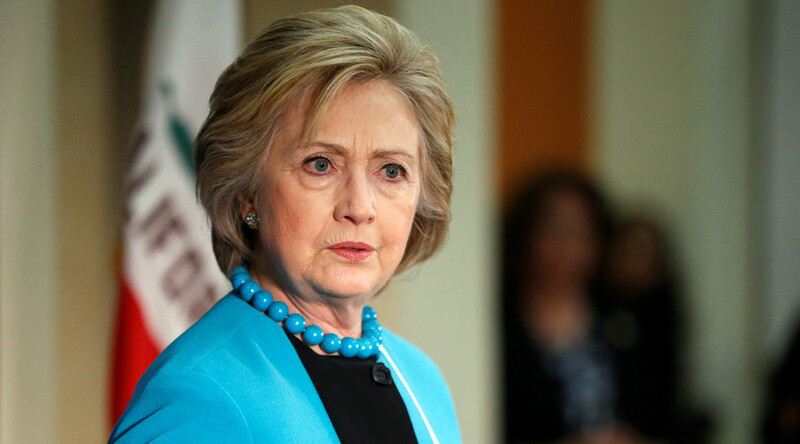 CBS News reported that Democratic presidential hopeful Hillary Clinton will be interviewed by the FBI in the near future regarding messages sent and received on her private email server. 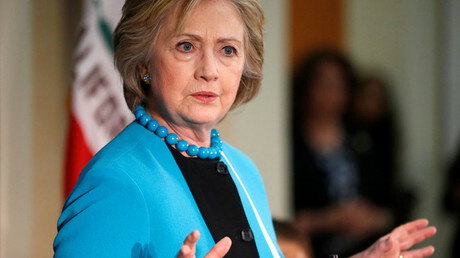 RT: What kind of steps may we expect to see taken by the FBI with regards to Hillary Clinton and her email controversy? Will she receive some sort of special privilege due to her high-ranking position? James Conway: I do know the protocols and standards the FBI follows when it comes to serious violations of the law. First of all, the FBI is an apolitical organization that has nothing to do with politics. Agents of the FBI and support employees of the FBI take an oath to uphold the law. And that’s regardless of who may have committed violations of the law. It is immaterial whether it is the First Lady, or it is the lady down the street, or it is the mayor of a city - it doesn’t matter. The FBI has a long history of enforcing the law. And sometimes people who are subjects to those investigations happen to be high-level political officials. So, it has happened a number of times. Just two years ago David Petraeus was charged, former general and former Director of the CIA was charged with violations of the law as it pertains to the protection or the passage of sensitive, classified information which is somewhat the subject of this ongoing investigation or the allegations that have been brought forward against the former First Lady and current candidate for the president of the US. RT: Does the investigation pose a threat to Clinton's presidential aspirations? JC: Political commentators have said this. The FBI has said nothing. The FBI’s investigation is extremely complex. They are looking at years of activity; they are looking at thousands and thousands of transactions in cyberspace. There are really two prongs to this investigation: the sensitive handling or mishandling of classified information in the form of emails. But there is also another aspect of this and that is the significant monies that came to the coffers of the Clinton Foundation while Mrs. Clinton held a high cabinet-level political position. And it is a violation of the law for political officials to accept money. This is somewhat of a grey area. But there are indications that part of the investigation is not only looking at the handling or mishandling of classified information… but, on the second hand, is an individual in an official capacity accepting money or favors on behalf of their position with the US government. When I was an FBI agent and I worked overseas, I was not able to accept anything that had a value over 25 dollars… So, there is a big question about not only the handling of information, but also the accepting of gifts. There has been anecdotal information that upwards of $57 million went into the coffers of the Clinton Foundation while Mrs. Clinton was Secretary of State. So, that is something that the investigation will look at. RT: How serious are the charges that Hillary Clinton faces? JC: Personally, I know that the handling of classified information is extremely sensitive. And it is viewed by the courts and by national security folks […] as extremely valuable and important. And those who violate those laws and rules are subject to severe penalties. And sometimes, in the case of David Petraeus, he passed some sensitive information, not official documents, but in the forms of notes to Paula Broadwell who was writing a book about him […]. 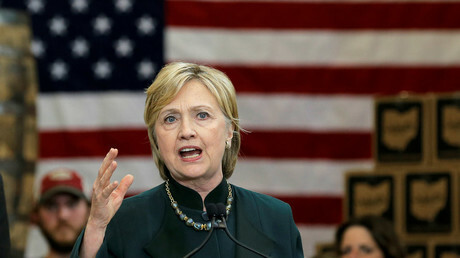 In this particular case that everybody is talking about in America, because it is within the context of the ongoing presidential campaign here, Hillary Clinton didn’t use a State Department closed email system […] Mrs. Clinton had her own public server and that is how she was communicating with her associates and others within the government. To me, that’s a clear problem. She has been asked to provide all of that traffic and there have been instances during the course of the investigation that maybe she didn’t hand over all those documents, all of that email traffic. Could that be an obstruction of justice? Interesting to see. Were emails destroyed? That is a violation of the law in terms of destruction of evidence. So, there are a lot of problems here. I think there is a gross negligence of the handling of classified information that protects our national security.